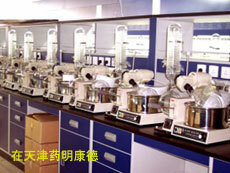 Shanghai Biochemical Equipment Co. , Ltd. is specialized in R&D and production of biochemical and modern pharmaceutical equipments, scientific & educational instruments. Relying on its technology, it can provide whole—course services including product design & manufacturing, instruments model selection and complement, after—sales installation & debugging, spare parts and accessories supply etc. to biochemistry, pharmacy, scientific & educational experiment, foodstuff & environment protection and fine chemical industries. Our main products include BC—R series rotary evaporator, BC—S series constant—speed stirrer, glass reactor, BC—FY seriesextractor and BC—W series thermal heating bath etc. 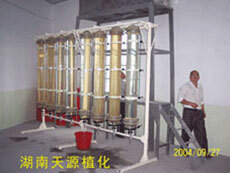 Our products feature stable performance, good quality and are acclaimed by the customers both home and abroad. Under the principle of “Committed to top class quality and ensure industrial leading position”, SHBIOC will dedicate itself to providing the customers in the biochemical industry with the best products and services.